AD: Euromobil announces special service campaign for grey import Audi owners - full benefits included! Home » Special Coverage » Sales & Promotions » AD: Euromobil announces special service campaign for grey import Audi owners – full benefits included! Good news, Audi owners! 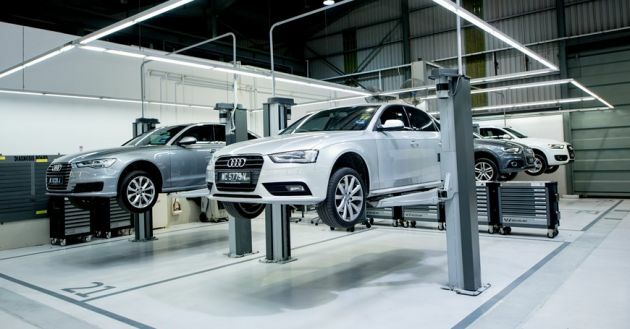 Euromobil has announced a campaign for servicing Audi vehicles that were brought into Malaysia via parallel importers. The move is in efforts to provide all Audi owners with the professional service experience they deserve. “Audi owners, irrespective of the channel they bought the cars from, deserve to get their cars serviced and repaired from a team who has access to the Audi Service and Repair instruction guidelines and diagnostics and will be able to do the preventive care which is needed to keep the cars in good running condition,” he added. The special campaign, which offers Audi recon car owners the same benefits as those who bought via official channels, will start on May 1, 2019. The benefit includes a two-year warranty for part replacements, topped with recall and workshop campaign services if applicable. During the first visit, the recon car will be subjected to a market conformity check, which is a comprehensive 300-point inspection check. Once done, the owner will be given a “market conformity certificate.” Owners who still have a valid international factory warranty will also be able to use it at Euromobil’s service centres. The campaign will be available at Audi Centre Glenmarie, Audi Damansara, Audi Johor Bahru and Audi Chan Sow Lin – Malaysia’s first Running Gear Competence Centre. For more information on the campaign, you may visit Euromobil’s Facebook and Instagram pages.